CAMERON GIVES BLESSING TO THE NEW TERMINATOR TRILOGY - IS IT ENOUGH? 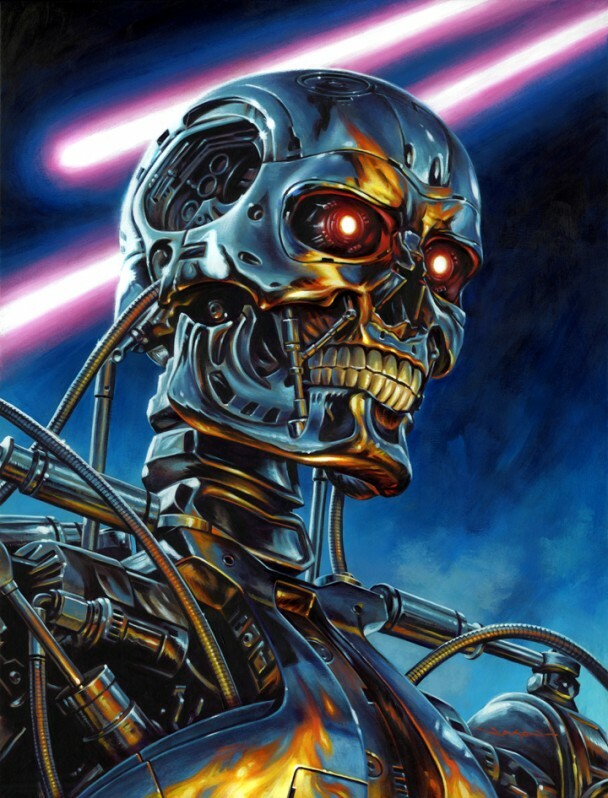 Like many long-running movie franchises, the Terminator series of films has experienced both record-breaking highs, and disappointing lows, peppered throughout five films that started with the introduction of Terminator T-800, Model 101, in 'The Terminator' more than 30 years ago. After the hugely successful 'Terminator 2: Judgment Day' in 1991, the franchise lingered in development hell with several script rewrites. Original director and co-writer, James Cameron, then dropped out before 'Terminator 3: Rise of the Machines' came along in 2003. Following legal challenges over distribution rights and the transfer of film rights to a virtually unknown media development company, an attempt was made to reboot the franchise with Christian Bale leading the way as John Connor (sans Arnold Schwarzenegger) in Terminator Salvation in 2009. Before that came the short lived Fox series, Terminator: The Sarah Connor Chronicles, which lives on in syndication on some local channels. After an unexpected bankruptcy, that saw the franchise rights up for auction, plans solidified to launch a new Terminator trilogy with Schwarzenegger returning in Terminator Genisys, the latest addition to the series that's received a surprising endorsement from Cameron. While Terminator is considered the film that launched Cameron's career, the Titanic director has had an off-again, on-again relationship with the subsequent films in the series. Cameron has made it no secret that he wasn't a fan of the third and fourth installments in the series, reportedly urging Schwarzenegger to sign on for T3 only for the (massive) paycheck. Despite the fact that he was only involved with the first two movies, at one time stating that he felt the story-line had pretty much been concluded in T2, the Avatar director has given his endorsement to the latest Terminator installment after an early screening. Cameron says that he likes the plot of the new film, feeling that it's a close match to the basic concept of the first two movies, possibly accounting for the director's assertion that the fifth film is really more like the true third movie in the series. Cameron also approves of the plot of the latest Terminator film, which pulls a Back to the Future and creates an alternate universe where the events in the first film are revisited -- except for the fact that Terminator is now trying to protect Sarah Connor rather than kill her, as was the case in the first movie. 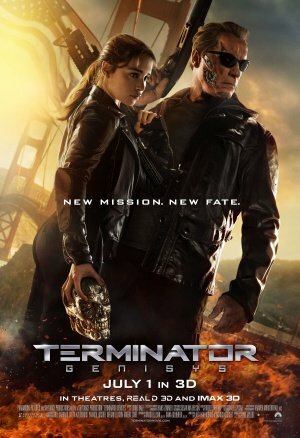 Schwarzenegger, who was relegated to a brief CGI appearance in the last episode, officially signed on in 2013, apparently sharing Cameron's approval of the direction taken in this installment. Legacy Effects handled the visual aspects of the production, making an effort to match the appearance of the first movie for the scenes taking part in the past and echoing the look of T2 for the war against the machines. Plans for the future of the Terminator franchise include two more sequels to Terminator Genisys scheduled for release in 2017 and 2018. There's no word yet on whether or not Schwarzenegger will be involved in future films. Early Terminator Genisys reviews haven't been all that great, with the film currently ranking below 20 percent on Rotten Tomatoes. However, low expectations didn't hurt the recent Jurassic Park installment, Jurassic World, which performed much better than expected. The two franchises are ironically similar in that both have had installments that disappointed (Jurassic Park III and Terminator Salvation) and both are relying on familiar plots. It's possible that dino-obsessed movie fans could develop an appetite for some human verses cyborg action. Interestingly enough, expectations for the original Terminator weren't all that high either. 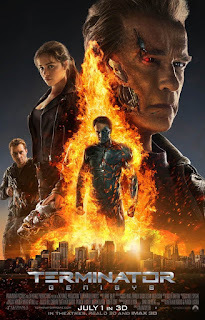 Although critics heralded what was then considered an innovative idea, so only time will tell if today's audiences will be as impressed with Terminator Genisys, arriving in theaters July 1st.